Massive Executive Home! Located up in the hills of desirable Fair Oaks Ranch in Santa Clarita. OUTSTANDING corner lot! UPGRADED FIVE bedrooms and four bathrooms PLUS large LOFT - could be enclosed for 6TH BEDROOM. Practical bedroom and bath downstairs. Granite tops with stainless steel appliances. OPEN floor plan with VAULTED ceilings. Custom tile and carpet. Wrought iron staircase. Crown moldings. VIEWS on bedrooms upstairs. Built in BBQ and fire pit. Three car garage. NEWER home, built in 2010. 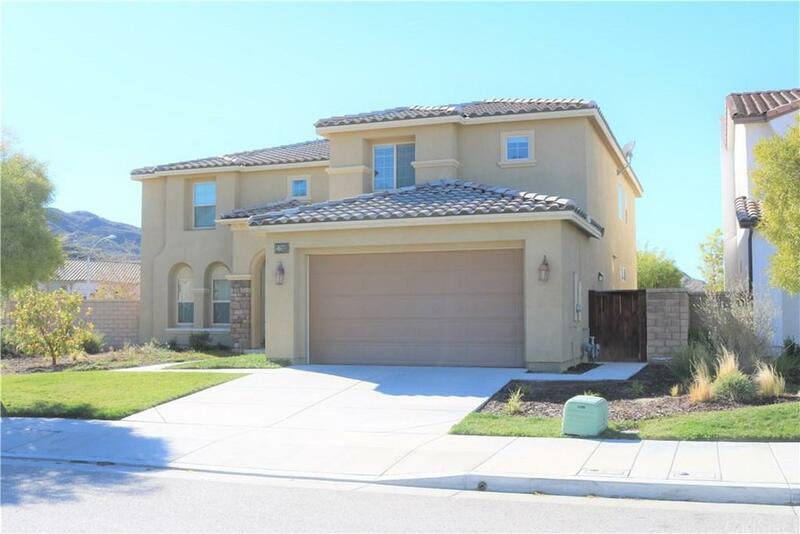 Close to shopping, Costco and 14 freeway. SUPER SHARP home!